The AJC had this obituary today for Dr. Merle Hamburger. As soon as I saw the name it took me back to the days of the South Atlanta Boys (myself and SAW contributor Norko among several others) driving up to Cornelia, GA to see NWA WildSide wrestling. I thought it odd that the photographer that covered WildSide shared a name with a doctor at the CDC. It turns out that they did not share a name. One of Dr. Hamburger's favorite diversions was pro wrestling, which he turned into a business sideline. 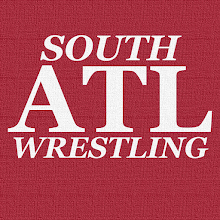 Atlanta wrestling promoter Bill Behrens said Dr. Hamburger started as a fan. "At first Merle would take photos of wrestlers -- pictures they would buy to use to market themselves. ... Then he photographed a couple of wrestlers' weddings, and the next thing you know he was photographing weddings for nonwrestler clients." Dr. Merle Hamburger was the photographer who covered NWA WildSide back when we were making that trip every other week to Cornelia. Merle, as we knew him, was a friendly guy and always looked like he was having fun out there. Here's my favorite story of Merle. WildSide ran a show at the Globe Theater in Atlanta. The way it was laid out we were left standing at a rail for the show. The South Atlanta Boys saw a futon that we thought we might be able to use to sit on if we moved it over the rail. As we had this futon about halfway over the rail Merle comes up and sternly says, "What are you doing?!" We started to put it back down as we fumble for an apology and Merle flashes a big grin and says something like, "What do I care?" We all got a big laugh out of it. Anyhow, it saddened me to read this today. It is really unfortunate that I was not aware of all the other things Merle did aside from taking quality photos at wrestling events. He sounds like a really special individual and I'm sure he will be missed.